Ted Dwane is the guy on the left. 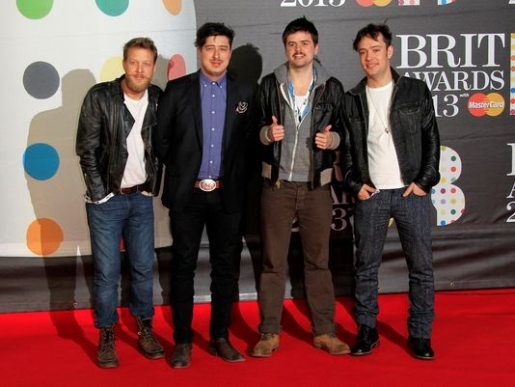 It’s been kind of a banner year for Marcus Mumford and the band Mumford and Sons. They’ve been winning awards, participating in a well-regarded concert tour, and they’ve got a headlining set at Bonnaroo coming up. However, it’s not been a perfect year in regard to health. Mumford and Sons bass player Ted Dwane has been hospitalized due to a blood clot in his brain. Fortunately the band will only be missing three shows: Dallas on Tuesday 6/11, Woodlands on Wednesday 6/12, and New Orleans on Thursday 6/13. All other shows will be honored and Dwane is expected to make a full recovery. Blood clots can be very nasty, but there are a lot more treatment options these days and Dwane’s clot is one that is fairly easy to treat.